When life lets us down, there�s only one reason: it�s all in our heads! We are what we affirm, positive and negative. Quantum Affirmations offers an integrative approach to manifesting the love, happiness, prosperity, and success you want in your life. Renowned psychic and bestselling author Monte Farber teaches readers how to visualize and create the future they desire with simple and fun techniques to tunnel through any and all obstacles. Quantum Affirmations is the revolutionary new method for harnessing your mind�s power based on quantum physics. Farber has researched intriguing scientific principles and their complementary metaphysical laws that support that affirmations work. In Quantum Affirmations, he applied those principles to formulate a simple 5-step process that anyone can use to create the future they want. 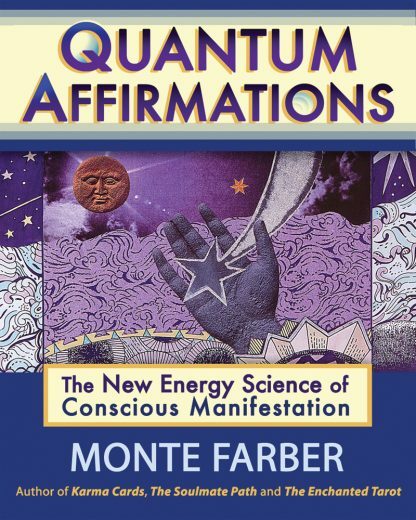 Farber includes in-depth interviews with people he has guided step-bystep through the process, and shows readers how to create their own Quantum Affirmations. When the world seems to be falling apart and things are getting out of control, this book offers an easy-to-use tool to take matters into your own hands.